How would I model calling something like Math.random() in Redux’s world? One of the tenets of Redux is that reducer functions must be pure. What about when you want to do something impure, like generate a random number, or get the current date? Recap: What’s a Pure Function? It’s impure because it modifies one of its arguments. This one is impure because it’ll (probably) return a different result when given the same inputs. Call it 3 times like makePerson('Joe', 'Smith') and it will return people with 3 different ages. Dice by Ella’s Dad. CC BY 2.0. Now let’s say you need to do something impure, like simulate the roll of two dice, and put the result in the Redux store. The only argument we can affect is action, which we can do by dispatching an action. So that’s what we’ll do: put the random number into an action. Here’s a straightforward way to do this: generate the random number in an action creator. Then dispatch it as usual, with dispatch(rollDice()). Cons: It’s impure, so it’s harder to test. What’re you gonna do, expect(rollDice().die1).toBeCloseTo(3)? That test will fail pretty often. Here’s a slightly more complicated way: pass in the random numbers as arguments to the action creator. Pros: The action creator is pure, and easy to test. 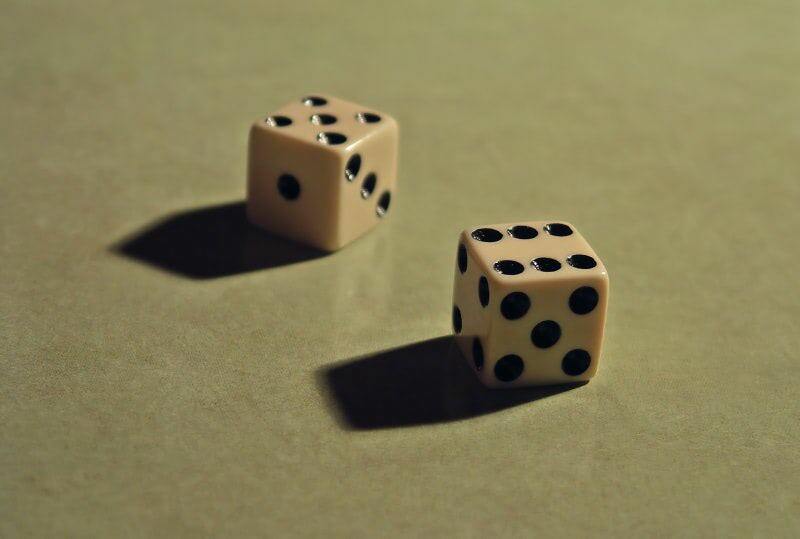 expect(rollDice(1, 2).die1).toEqual(1). Cons: Anything that calls this action creator must know how to generate the random numbers. The logic isn’t encapsulated in the action creator (but it’s still pretty well encapsulated in the randomRoll function). Whichever option you choose, the reducer is the same. It returns a new state based on the die values in the action. Reducers must be pure! Don’t call Math.random() or new Date().getTime() or Date.now() or any other such thing inside a reducer. Perform impure operations in action creators (easy to write, hard to test) or pass the values into the action creators (easy to test, harder to write).